This is the true story.. about 11 strangers.. picked to live in a house.. blog together.. and have their lives tweeted. To find out what happens, when people stop being polite, and start getting real. The Real World… TBEX! I regret when we missed out on TBEX Colorado – judging from the pictures, it looked like a lot of fun. And just months prior, we were tempted to leave Thailand early to attend TBU Umbria. That’s how much we wanted to attend one of these conferences so we can meet up with people we barely know and have never even met. So imagine our delight when we booked our tickets to TBEX Toronto! I knew it would be a hell of a weekend when you put any bloggers together in a house let alone 11 of them. We were able to stay in a house enough to host all our multiple blogging disorders. We shared the house with Chris & Tawny, Lola, Alex, Yishyene, Craig, Ted, Carolyn, Erin and Anita. I thought it would be easy to recognize faces almost immediately at the kick-off party. But remembering what Captain and Clark had warned us from their experiences the year prior, I wasn’t expecting people to look much like their Twitter handle. We spent a good portion of the kick-off staring at people’s chests trying our best to pair name tags to their faces while making our way through the display of food. My favorite part – cheese cubes rolled in maple syrup, gummy bear carving station, local beer, flipbook photobooth and mac and cheese from CheeseWerks. Honestly, the amount of free food and booze was a huge plus! 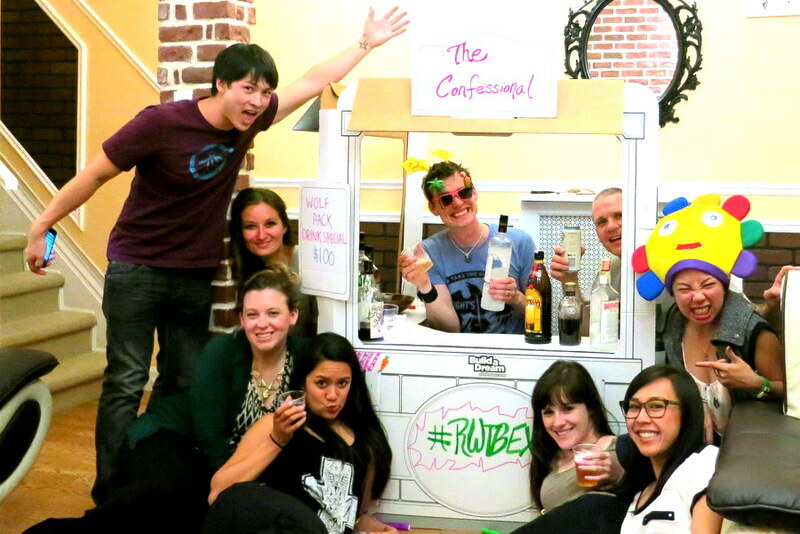 That night we partied hard at the house, even creating a bar out of cardboard boxes courtesy of Lola. We drank.. a lot. Honestly, I think we hung out with our roomies more than actually doing conference related stuff. 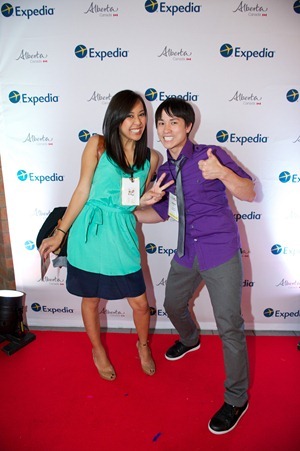 Night 2 was a lot of fun – Expedia hosted a red carpet party on Centre Island complete with food, drink tickets and music. Although, I didn’t care much for the mozzies flying around, the view of the Toronto skyline from the island was pretty cool. Overall, I thought the conference itself was well-organized, most topics didn’t appeal to us so we didn’t go to the sessions. Of the ones that were, I had to sit on the floor because the rooms were too small to fit us all. We didn’t come armed with an iPad and a media kit. We weren’t interested in learning how to monetize our blog – our blog makes no money. And we didn’t sign up for speed dating which apparently everyone else did. It seems they all had a plan, all but us. In the midst of bloggers shuffling from table to table vying for the attentions of Maui, Jordan and the likes of other tourism board, I have to admit, I felt a bit out of place. We didn’t exactly come for the pursuit of press trips. I think it’s great for those who can leverage their blog to work with tourism boards. In fact, I’m slightly jealous. It would have made sense a year or so ago when we were still traveling long-term but since we’re back home now with full-time jobs and limited vacation time, it doesn’t make much sense for us to pitch anything. And let’s be real here. As much as I’d like to believe Dave and Deb about how there’s plenty of room for all of us, we’re just not in the same caliber. I’d hate to be the ones in line behind them. LOL. Meeting people and the face behind the Twitter handle. I didn’t think it was possible, but we were star struck on a number of occasions: Me with meeting Nellie and Dave and Deb. Gerard nearly screamed when he saw Jodi Ettenberg. Even better, after a quick deer in the headlights look and a glance at our badges, we were surprised how many knew who we were! AND.. how well we connected having never met. It was almost too easy of a friendship, I’m going to name drop a few – Sally, Jaime, Kent and Caanan, Jill, Brock, Steph and Mike, and Amanda off the bat among a slew of many others. My favorite part is finally making that connection and calling them first by their Twitter handle then by their name. Lucky for most of you, you all lived up to my expectations. Well, sort of. Some of you need to update your picture, others well, let’s just say a few threw me off. But all in all, we were eager to finally meet everyone in person and even made some new friends along the way. To our RWTBEX roomies, sharing a house with all you crazy people is something we will never forget. 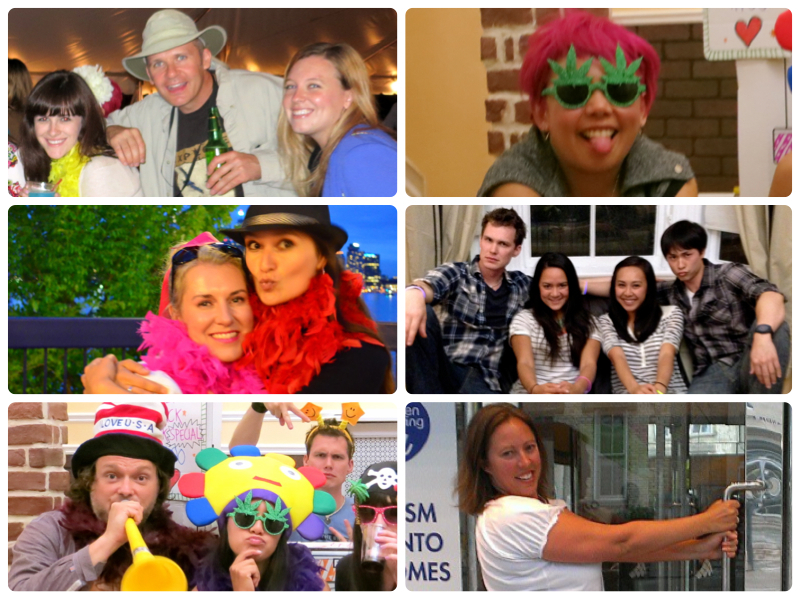 From our cardboard bar to mustaches and glow sticks, plane pongs and markers, we consider you all lifelong friends. We can’t wait for the reunion. 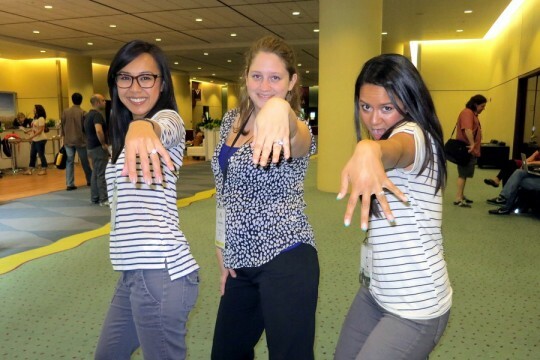 Because of you, our first TBEX was a hit! I love this post. It gives me hope that I could go to TBEX one day (fingers crossed for west coast next year!) and not be left out, just because my blog isn’t my main source of income (and never will be). Glad we were able to meet in person! Sounds like a crazy fun time in a TBEX house!!! Hope to meet again on our travels! It was great to meet you two as well! So jealous of your upcoming trip! Enjoy the planning and prepping! It was great hangin with ya Erin! We drank a whole lotta stuff every night in case you don’t remember. Glad you survived coming back to work. It was a tough one. Excuse me but how could you fail to mention that (flat) DEEJ was there! This post is terrible!!! Oh yeah! flat Deej via the best vine of tbex! Miss you too! hahaha good point, small crazy! Really loved meeting u all! Loved seeing y’all again, no matter how briefly. TBEX would be amazing – only for meeting all you cool people if for nothing else 🙂 Soon, soon our paths will cross ! 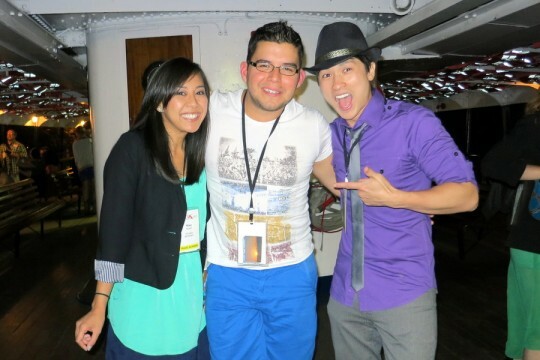 Was so much fun to meet you guys! Had a blast. Looking forward to the next RW get-together! Happy writing, happy travels! I really felt out of place in the RWTBEX house. Everyone just wanted to party, and I wanted to hit all the seminars and take notes. Despite the fact that you guys are all bad influences on me, I had an amazing time. It was great meeting you on Jarvis Street when I first pulled into town.